Karlie & Tarang’s Wedding Featured on Borrowed & Blue! It was so great to see Karlie & Tarang’s Charleston wedding featured on Borrowed & Blue. You can see more of their gorgeous wedding here! The last day of summer is upon us and what a summer it has been! A summer full of wonderful weddings and wonderful people and two of those weddings were at two of my favorite southern wedding destinations, Charleston and New Orleans. I already posted photos from Ayahna and Cedrick’s wedding in New Orleans at Southern Oaks and now I want to share the Indian wedding of Karlie and Tarang in Charleston earlier this summer. Karlie and Tarang had 3 days of events leading up to their beautiful Hindu ceremony and American ceremony at Magnolia Plantation. 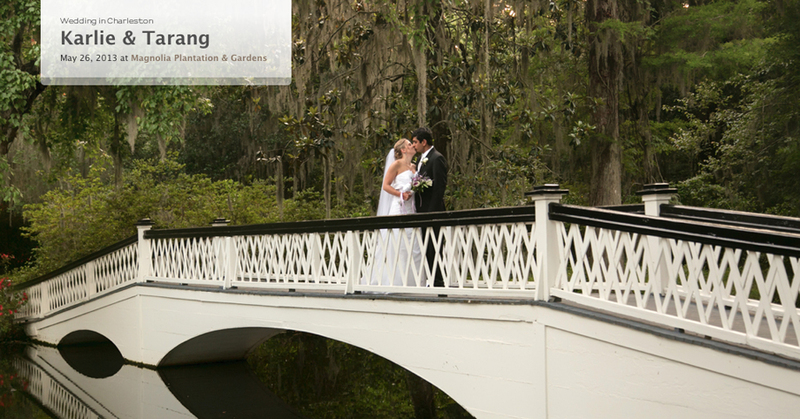 It’s always a joy to photograph weddings there among the spanish moss, gardens and the beautiful marshland along the Ashley River. The Friday before the ceremony they had a wonderful gathering at Charlestowne Landing for the Mehndi ceremony and Sangeet. Then Tarang’s family gathered for the Haldi ceremony for the groom at Folly Beach the next morning. For the day of the wedding the weather was as perfect as it could be as friends and family gathered to celebrate with Karlie & Tarang. What a beautiful celebration it was!